At Secrest Hill Butler & Secrest, we offer legal services across a comprehensive range of insurance matters involving virtually all types of insurance coverages and insurance bad faith claims. Our attorneys are experienced and prepared to represent insurers, corporations, local businesses and professionals in a variety of defense matters. 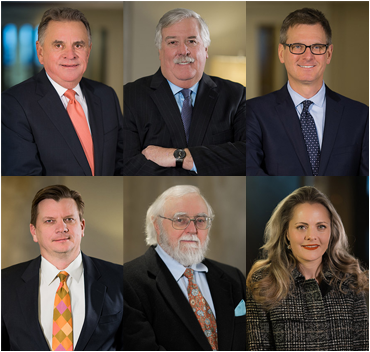 Professional liability defense: Secrest Hill Butler & Secrest represents professionals against claims of malpractice, including medical, legal, engineering, architect, insurance and accounting malpractice. We are fully prepared to defend you in the courtroom; however, we will first make every effort to have the case dismissed through motion practice. General liability defense: Our liability defense practice covers the spectrum of liability issues, such as automobile liability, premises liability, directors and officers (D&O) liability, employment practices, general liability and more. Our law firm is an established force in Oklahoma liability defense and a trusted advocate for our clients in this area. Insurance disputes: Secrest Hill Butler & Secrest has represented insurance companies in a multitude of coverage disputes, both large and small, involving virtually all types of coverage. The firm has represented insurers in declaratory judgment and garnishment actions in state and federal courts in Oklahoma, and before the Oklahoma Supreme Court and the United States Tenth Circuit Court of Appeals. If you are an insurer in need of an Oklahoma insurance defense attorney, or a corporation, professional or local business with litigation threatening, contact our law firm online or call 918-494-5905. One of our attorneys would be happy to speak with you. Workers' compensation: Our attorneys understand the difficult workers' compensation issues employers in Oklahoma face on a regular basis. Our law firm has a strong record of success in workers' compensation defense issues, including those related to permanent partial disability, permanent total disability, occupational exposure, death claims and workers' compensation exclusivity.